We receive information you voluntarily provide to us when you: (1) open an account with us; (2) utilize our services; (3) apply for a credit card; (4) make a purchase; (5) apply for employment opportunities with Finish Fit®; (6) or conduct a similar type transaction; (7) contact us via any customer service method; (8) submit user-generated content (via our Websites, Internet Marketing Channels or otherwise); (9) participate in customer research, surveys, sweepstakes or promotions; or (10) otherwise communicate information to us. The collection of certain types of Personal Information may be necessary and/or required for governmental compliance (i.e. licensing or purchasing). We may collect "Automated Information" through Cookies (as defined below), Web Beacons (as defined below), "Pinterest Tag's", "Facebook Pixels", or "Google Analytics" Codes and other related automated means (collectively, "Information Technologies") to track our customers' behavior. Automated Information we collect via Information Technologies includes internet protocol address(es), operating system(s) and browser specifics of your device, device characteristics, geographic information, user ID(s), and specifics regarding your interactions with (i.e., the path you take through) our Websites and our Internet Marketing Channels. You may unsubscribe to future e-mail communications by clicking on the unsubscribe link provided in our e-mail communications. Regardless of your decision to opt-out of future e-mail communications, we may still contact you to respond to an inquiry, regarding transactions and for transactional purposes (e.g., recalls, product information and service/reminder notices). In addition, you may use the methods set forth in the "Contact Customer Service" link below to opt-out or update certain preferences. Based upon your visit(s) to our Websites and elsewhere on the Internet and your interaction with our Internet Marketing Channels, we may personalize your experience via our Websites and via our Internet Marketing Channels. However, you have choices relating to how your device interacts with our Websites and our Internet Marketing Channels. You may choose to access our Websites and our Internet Marketing Channels without accepting certain Information Technologies on your device(s), and you may opt-out or modify certain elements that are tailored specifically to you and served to you based upon your browsing history. If you choose to restrict Information Technologies, you may access our Websites and Internet Marketing Channels, but you will NOT be able to take full advantage of certain features. Please note, even if you choose to restrict, opt-out or modify, you may still see or receive Finish Fit®’ s advertisements on our Websites, on our Internet Marketing Channels and on other sites, but such advertisements will not be based upon your browsing history. Additionally, we work with advertising networks that utilize the browsing history of your visits to our Websites, Internet Marketing Channels and across other sites to serve you Finish Fit® advertisements across the Internet and through other channels. We do not permit such networks to provide your browsing history on any of our Websites to any other site. Some of these networks may participate in the Digital Advertising Alliance's ("DAA") Self-Regulatory Program. To learn more about your choices relating to networks that participate in the DAA Program, please click here. As we deem necessary to protect the rights, property or safety of Finish Fit®, our customers, our associates or others, to prevent harm or loss, or in connection with an investigation or suspected or actual unlawful activity. If you have a Finish Fit® account, log-in to such account via one of our Websites. After securely entering your account, you can update your name, e-mail address, password, loyalty card information, billing/shipping address, etc. by entering or revising the information as reflected therein, or you may close your account(s) and request that we no longer use your information to provide you services or products. Click on the "Contact Customer Service" link at the bottom of any of our Websites. 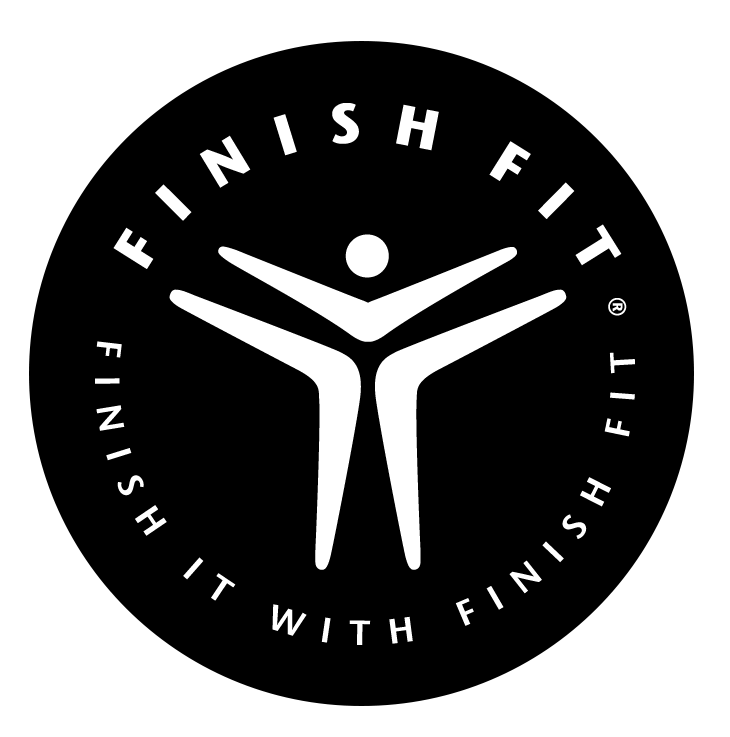 This link will provide you the opportunity to contact Finish Fit® via phone, e-mail or U.S. postal mail. Please provide your current and complete contact information with these requests. Closing or updating information relating to one Finish Fit® account (e.g., a Finish Fit®’s online shopping account) does not guarantee the closing or updating of a separate and different Finish Fit® account (e.g., accounts created for our personal training, boot camp, or nutrition programs). If you desire to close or update multiple Finish Fit® accounts, please log-in to each specific account to do so, or please contact the correct and applicable Customer Service department associated with each such account. Our Websites are "general audience" websites and not directed toward children. We do not knowingly collect Personal Information from children under the age of 13 without express parental consent. If you are a parent or guardian and think we have unauthorized information about your child who is under the age of 13, please let us know by contacting us through the "Contact Customer Service" link below.